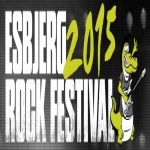 Def Leppard will play the Esbjerg Rock Festival in Denmark on 30th May 2015 and more details have been published. Lep will play on the Energy Stage on 30th May and they will be joined on the bill by Mike & The Mechanics. The band are led by Genesis guitarist Mike Rutherford and the current line-up also features Andrew Roachford (of Roachford's 'Cuddly Toy' fame). Other bands scheduled to play at the festival include Michael Learns To Rock, Munchener Freiheit, Gnags and Sko/Torp. Vivian commented about another possible tour announcement for this week which has so far not happened.